Bob in the new living room. 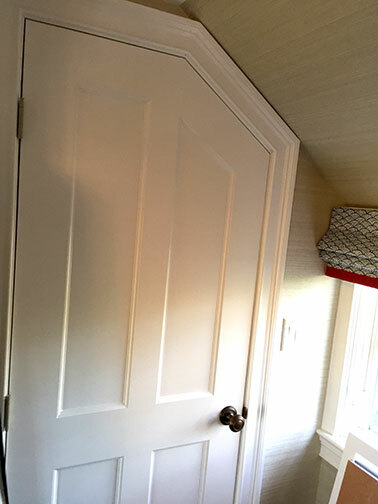 Door custom trimmed to fit space. 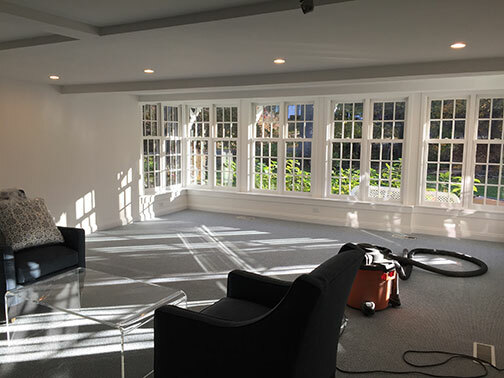 Many of these windows were repurposed from elsewhere in the house. 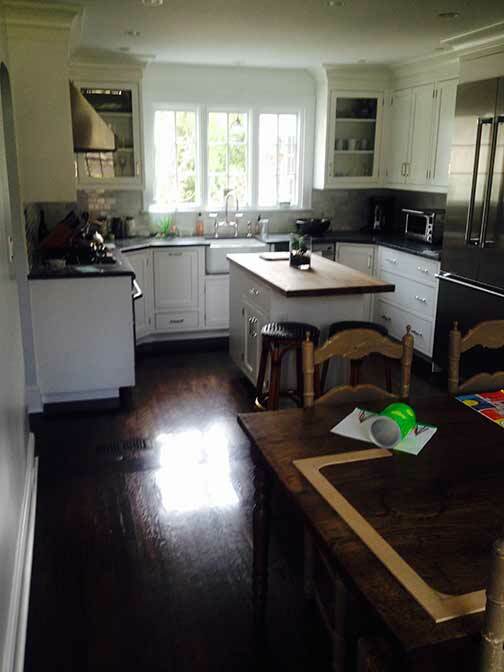 The kitchen was newly designed and expanded and now is light and bright. 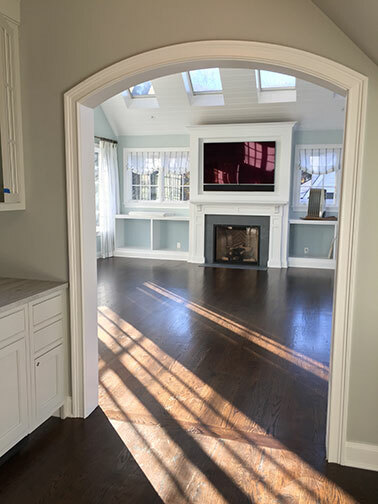 An archway opens to the spacious great room with new mantel and built-ins. 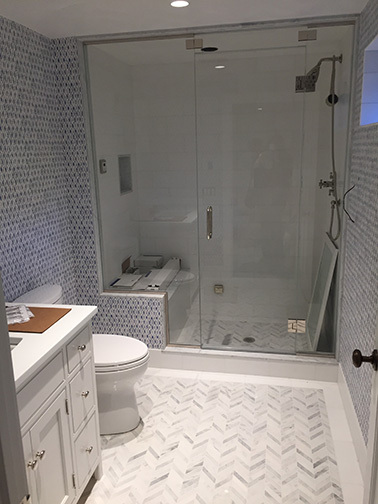 Bathroom renovation uses herringbone look on floor. 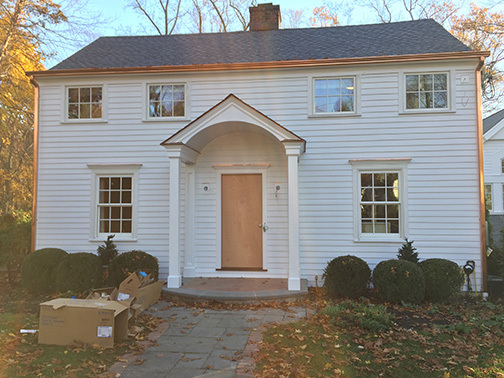 The front door is still to come to welcome the homeowners back to their newly renovated 1930s home. 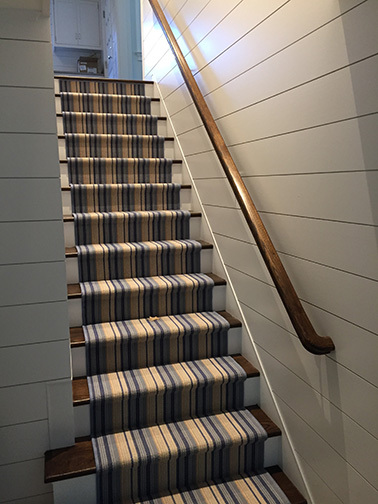 Stairs were moved and rebuilt to add space to the kitchen. 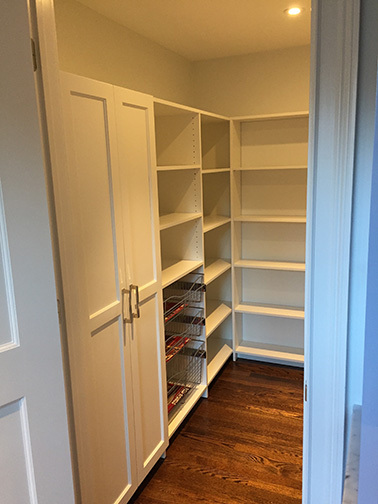 Cabinets and shelves make this a great pantry space. 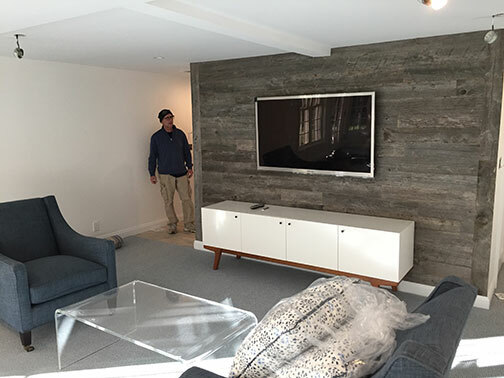 This Rowayton home had a teeny kitchen with a wall and a door way separating it from a teeny dining room. 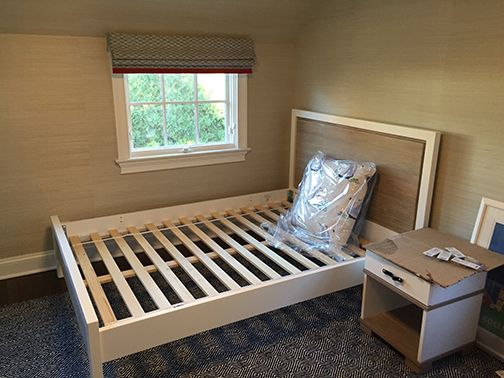 The concept here was that one combined space of a decent size is far better than two really cramped spaces. 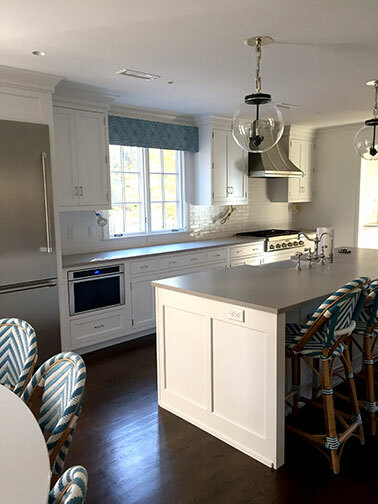 With the help of kitchen designer Rob Morris, and Cabinets by Vermont Custom Cabinets, Bradshaw Contruction transformed the space into a very functional eat-in kitchen. No dining room was the right call for this active young family whose lifestyle centered around their kitchen. Summer is for outdoor dining!